Want to become a Team Beachbody Coach in Canada? It is now available and you can learn amore about becoming a Beachbody Coach in Canada here. Make sure you use this link to sign-up so you are placed on our team! We have the largest team in Beachbody Canada, which means you will have more coaches assigned to you. I've received a fair amount of emails asking how I was able to lose the weight so fast and decided to put together an extremely simplified and basic plan to the Alkaline Diet. Please note that the key component to my success was pain. Anthony Robbins always talks about pain vs. pleasure. In order for me to make this work, I created a state of mind of "enough is enough" and the pain of continuing my existing diet of eating whatever I perceived tasted good and relieved stress, was worse than eating healthy and improving my body through healthy eating. Until you can create enough pain with your current lifestyle choices, you will never be able to make a massive change. And as we all know, Massive Results are only obtained by Massive Change! There are no short cuts in life. Motivate yourself to live longer and stop killing your cells! Drink a ton of water! If you can, drink 2 to 3 litters of water a day. Eat Alkalizing Food, and avoid Acidic Foods at all costs! 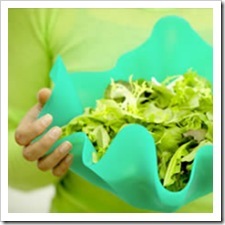 Make a great Vegetable Juice every morning for breakfast to kick start your day! Have a Salad for lunch! Go for a walk after dinner. 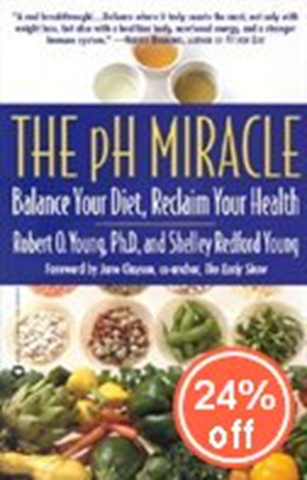 That's it, of course if you would like recipes, motivation, and explanation to why this works, and why Acid forming foods will cause candida, sickness, cancer, and death, buy The pH Miracle! Below is a sample of foods you can eat, and a list of things you can't. Have as much as these as you want, stuff your face with them! Basil, parsley, mint, coriander, ginger, cumin etc. Lemons, Lime, Grapefruit, Watermelon, Tomato, Avocado. No other fruits. Wheat, barley, kamut, lemon, shave etc. Pesto, hummus, tahini, guacamole etc. Although you are technically allowed to eat 20 to 30 percent acidic foods, I have kept my ratio to 95% alkalizing, and 5% acidic. Make sure the water you drink is good water! Reverse Osmosis is probably the easiest to find that works well for the body. Make sure it’s not sitting around forever however, or it will lose its healing power. Do not exercise more than 15 minutes if you are pushing hard! You WILL make your body more acidic and will not help. Why do you think so many people plateau, and work out hours a day. Absolutely no caffeine or alcohol! Buy Organic when possible! The cost is worth it to your body! Do a Colon Cleansing, buy Dr. Natura Colon Cleanse! Very easy to do, take 2 pills in the morning, 15 minutes later you drink a special drink that cleans your intestine, and at night drink a tea before bed. If you can, for the first three days of doing this, have only juices! That's it, that's the high level plan of what I followed for about 3 weeks to lose 30 pounds! I'm hoping to lose more in the next few weeks but expect results to slow as I start getting to my ideal weight of 165.